Segou, Mali.\nThe Somono neighoborhood is located next to the Niger river. Somono people are Bamabara people who refused, hundreds years ago, to restrict their activities to agriculture. 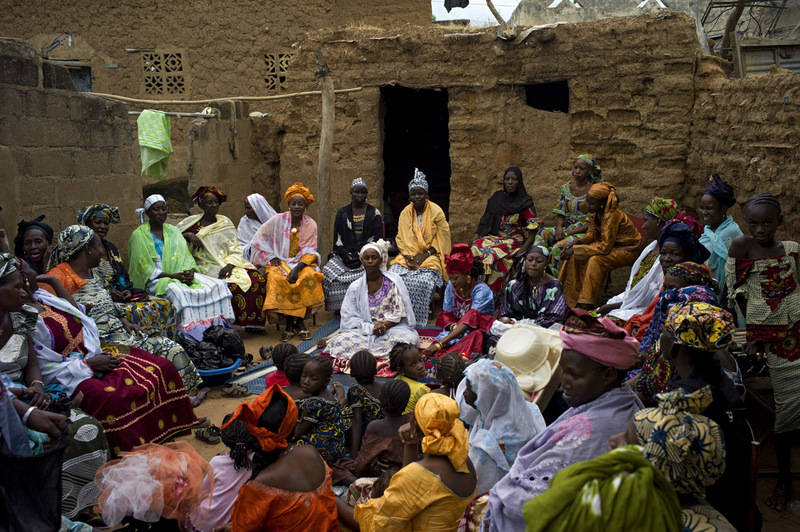 A group women are gathering to celebrate a birth.